Here's a destination that's on my wish list for a design trip to Scandinavia. 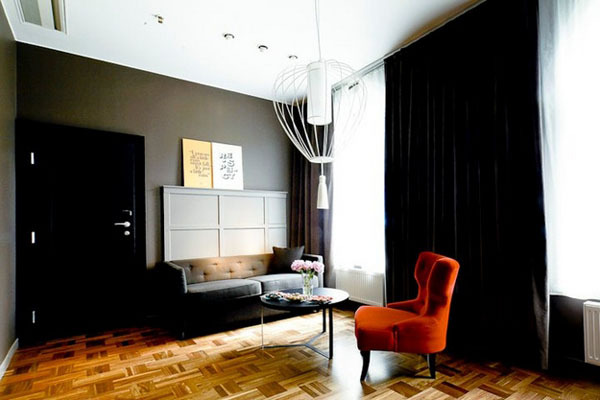 The Scandic Grand Central Hotel opened October last year and is located in a 130 year old historic building (formerly the Lundberg Palace) in central Stockholm. So what is it exactly that I like about this place? 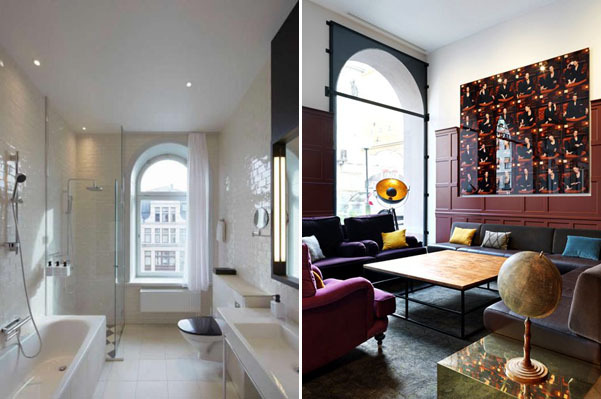 Well the interiors are a fusion of the grandeur of an old Vienna style city palace with the urban cool of Stockholm street life, melded together in an effortlessly chic Scandi way. A finalist in the European Hotel Design Awards 2012 the hotel was described by the New York Times as a 'rocking hot spot'. Some of the rooms come complete with a record player and a stack of vinyl, photographs of contemporary Stockholm personalities hang on the wall and there's even a photobooth in the stairwell. The designers Koncept Stockholm came up with an 'urban theatre' storyline for the design scheme. "We created a constantly changing scene, where the street life is a part of the entertainment. 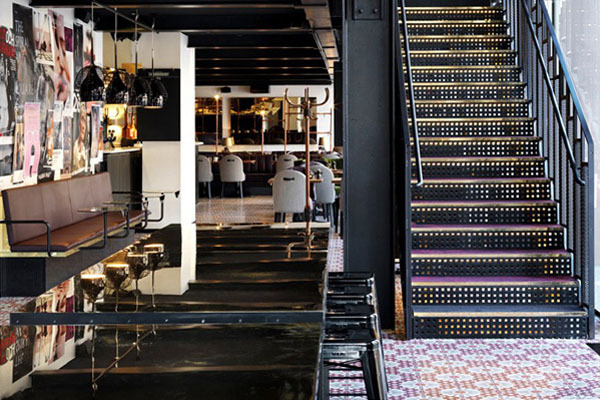 The feel of the hotel is unique and strongly grounded in Stockholm." The colourful interiors are rich, warm and inviting and I particularly love the way wooden panelling has been used to create headboards in the bedrooms - definitely a design detail that you could borrow and recreate at home. The perfect place for a winter city break? Take a look at the rest of these images and see what you think.